Sennachie starred on his Sandown Park debut last night en route to the $432,000 Launching Pad series. He began well then accelerated to lead at the first turn, from there he took no passengers as he set a hot back split and streaked away to win by 5½ lengths in the night’s best time of 29.42. “He’s had two trials here and both times went fast. If everything holds together, he’s going to be a superstar this dog,” explained trainer Steve Bruce White post-race. Sennachie will now hone in on heats of the Launching Pad which are set to be run on Thursday April 4. It is a series that White has had great success with in the past having taken out the 2017 edition with Suffragette. Has Sennachie got what it takes to win a Launching Pad? White says “absolutely”. Sennachie joined White’s kennel after an impressive start to his racing career in South Australia. 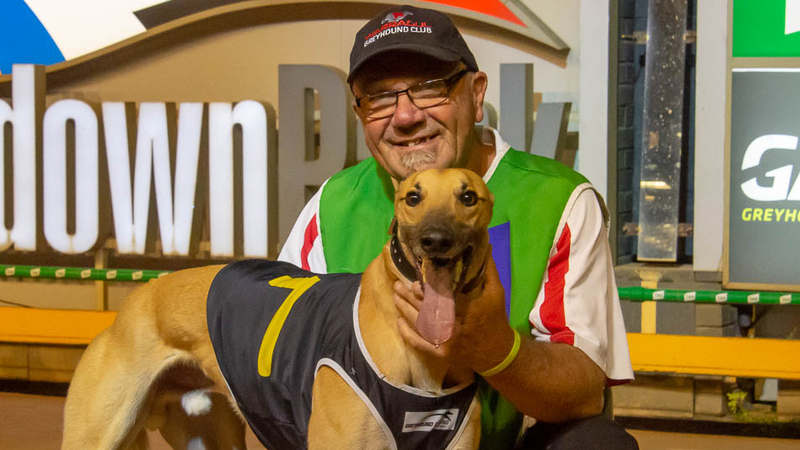 Occasionally, star greyhounds in similar situations are temporarily placed in Victoria for a crack at feature events, but White says the plans are long term with Sennachie. Alfieri, who won a ticket to the Launching Pad at Angle Park last night, will also join White’s ominous team who will attack the Launching Pad. Earlier in the night Spearhead also booked a place in the series by taking out the restricted win final which had a ticket attached. There is $432,000 in prize money up for grabs over the three weeks of the Launching Pad. It is open to greyhounds with 1-6 wins and no more than 30 starts, and connections need to pay a $2000 entry fee to book one of the 64 places available. A limited number of Launching Pad tickets remain available for purchase, click here for full conditions.